Personal branding is all about keeping your identity strong, especially in the online community. In an organisation, starting from the manager to the newly joined trainee, everyone strives to improve their brand identity. And, in today’s world, it is as important as surviving. Okay, let us analyse it this way. When a new job application hits my desk, the first thing I will do is Google them. And, man! It’s true, your online presence says a lot about you. So, my point is, building a strong personal brand can do wonders for you, your career, your personal life, and for the organisation you represent. Branding yourself is not a hectic, tiring job. All you have to do is devote some quality time to portray yourself in front of the online crowd in an appealing manner. The time it takes depends on how well you are able to differentiate yourself from the millions out there and reach your target audience. This guide talks to you all about the techniques that will help you to build yourself as a powerful brand. But, before we start, it is important that you have a clear view about yourself and where you want to reach in a time span of 5 years, 10 years or 30 years. Once you figure that out it won’t be difficult to define your target audience. You don’t have to appeal to everyone around you! Focus only on that part of the audience whom you think can benefit you in the long run. Forget about the ‘funky’ ‘freaky’ phrases you used along with your name as a teenager. School is over and now it’s time to get professional. Create a professional email ID that can clearly show who you are. Building a strong, neat social profile is really important as you start building your personal brand. Make sure the usernames and the URLs you create to fit your personality and revolve around the brand that you want to create. In order to check for your username availability, you can make use of online tools like NameChk or knowem. These tools check for the availability of your desired username and also provides you with a handful of possible other options in case that particular username is unavailable. You can also use these tools to claim your username. Keep it short, easy to type and remember, and easier to put on assets like websites. Creating usernames *LiKe_ThIs* might have been in fashion 10 years ago, but are really hard to remember now! One of the major steps towards personal branding is to build your own personal website. A personal domain provides you with many opportunities that the social networks are unable to provide. For example, you don’t own the content you create on Facebook or Twitter, but whatever you create in your own personal website is all yours. Unlike social media platforms, you get to control your website completely, choosing what design & structure you like, what content needs to be written, and so on(check out Godaddyfor example). WordPress is currently the number one content management system (CMS) available, powering almost 60% of all sites on the web (as of March 5, 2018), says W3Tech in their survey of the top 10 million sites ranked in Alexa. It’s the most popular blogging system used by approximately 75 million websites. It’s also free to install, design and upgrade. WordPress can be self-hosted, with over 50,000 free WordPress plugins available to boost your site’s functionality. The user-interface components of WordPress are easy to use with plenty of free tutorials available for easy learning. How Do You Drive Blog Traffic? To bring in reliable and qualified (a.k.a high-value) search traffic to your WordPress account, it is important that you are unique and consistent with your blog content. You need to feed your blogs with content that is relevant and capable of offering something to your audience: answering their questions and doubts about your speciality or enriching their lifestyle with friendly, personable content. Also, don’t forget to add social buttons to your blog posts! Make use of platforms like Buffer or Hootsuite to schedule your blog posts on your different social networking sites. In spite of what you might think, your audience cares about who you are and wants to be able to relate to you. They love knowing the person behind the content. Yet, most About Me pages tend to be boring. This is where you create that personal connection with your target audience. Your audience will always prefer to know the human behind your content. Anything unique and attractive is sure to grab the attention. 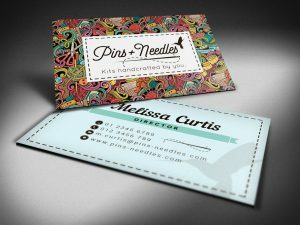 This should be your motto while designing your business card. 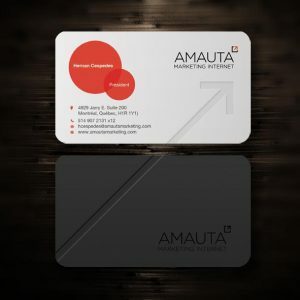 Some amazing business cards are shown below. Have a look! Make relationships that can lead to opportunities. You don’t have to always rely on social media networks to connect with other people. Face-to-face interactions will help you too! In fact, that can be more personal and effective. Try attending local events related to your niche. Google industry keywords. Check out Eventbrite. Attend a variety of events. Meet people. Discuss topics. Once you are back home, don’t forget to add them as social media connections. They won’t hesitate to add you back as they are familiar with your name and face. In that way, the connections will be more personal and fruitful. Guest blogging is one of the finest options for you to build your target audience. However, make sure the blogs you write are not spammy. Post your contents in websites that accept only high-quality contents. Only a premium quality website will stand for the quality of the content they get. There will be other plenty of guest blogging sites which will accept anything and everything that’s written. Remember, audiences tend to be picky! Always post unique, error-free content. For an effective personal brand, creating is not just enough. Proper monitoring is also required. For a big brand, it will be practically impossible to respond to each and every mention about them online. At the same time, you need to know what is happening online with respect to your brand. To aid you, here are a few online tools that can help you monitor your brand. Mention is one of the latest tools which is capable enough to replace Google Alerts. Mention allows you to monitor millions of sources in real time, in 42 different languages. Another platform which notifies you about the brand mentions and interaction, Social Mention also helps you to measure your brand strength. You can also use tools like Hootsuite, Tailwind, Talkwalker or Moz Fresh Alerts to monitor your brand. Improve Your Appearance, Look Healthy! As the saying goes, the first impression is the best impression. Many studies have shown that a person who is dressed nicely, with properly combed hair, and a tidy appearance is more likely to succeed in their life. You may even find looking sharp helps your own confidence too! Studies have shown that people who wear blazers or suits in a business context make more sales than those in casual clothes. So wearing something that suits your audience’s expectations can give you that extra boost you need to make the best impression. Be unique! It is good to follow the steps of other people. However, these tips should only help you to enhance what you already are. Amazing opportunities are on your way!